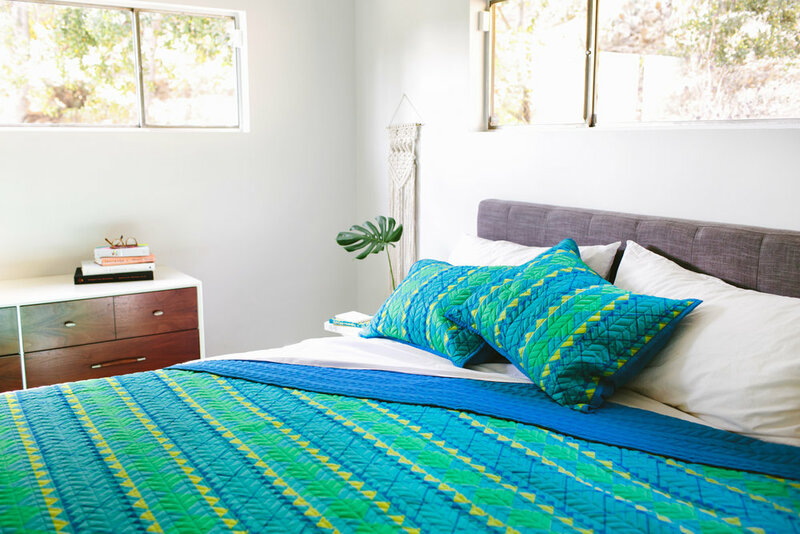 Punch up your bedroom with this bright geometric Trenza quilt. This reversible quilt features pops of green on a deep turquoise background on one side, and an all-over geometric patterned stitching on the other, for a more subdued mood. The Flores reversible quilt features a rich abundance of red florets on black and hints of yellow that will make any bed more inviting. 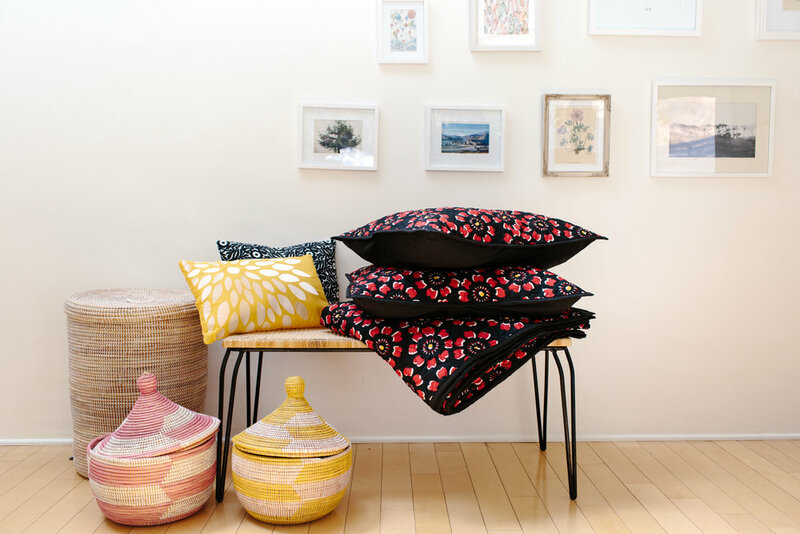 The reverse side features an all-over botanical patterned stitching. Included in the set are the quilt, and 2 pillow shams. Bring a splash of fun into your bedroom with this starburst covered reversible VIVA quilt. This playfully patterned quilt features an array of sunbursts in a gradient of colors that range from indigo to lime green. For a subdued look, the reverse side features an all over geometric stitching on cool turquoise.